This update took a while! Unfortunately, it took a long time as i had to work on time consuming UI functionalities that don’t change much to the game itself but where necessary to do nonetheless. This update however still adds a few new things, including chronicles. Players can now write and publish news and stories ingame. Depending of their cultural influence and diplomatic relations, the news then reaches the player’s neighbors. Each player receiving a new story can ‘upvote’ or ‘downvote’ it, and upvoted stories and then relayed by the receiver’s own cultural network, propagating to more players. This system will hopefully help players feeling less isolated and more aware of events happening in the world around them, improving the multiplayer experience. At each login, players are now greeted by the Chronicles menu, with a custom feed of chronicles written by other players depending on what news have reached them. 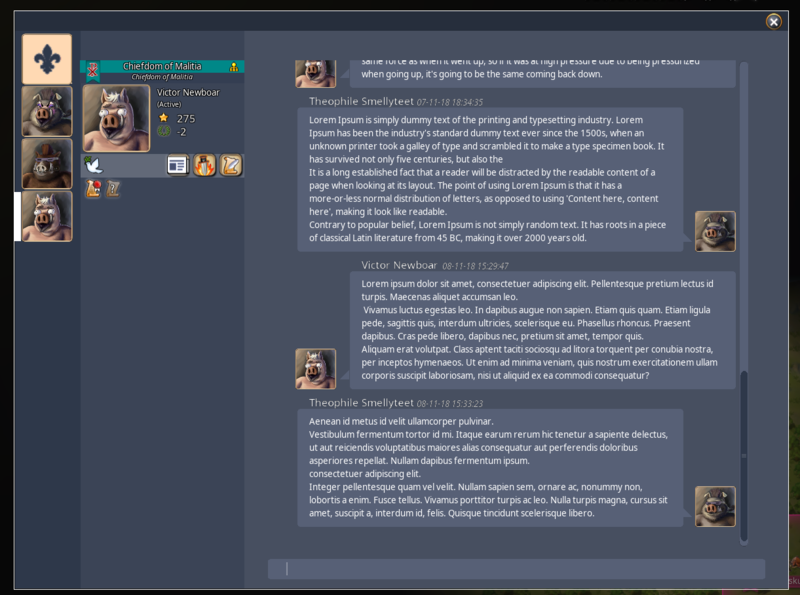 Additionally to this, this update also adds a basic ingame chat system, allowing players to finally discuss directly with all the other players they have diplomatic relations with (peace treaty). This basic chat system also includes a special room for every nation, so all the members of a same nation can share a common chat room. The nation chat has 3 sub-rooms, one being reserved for rank 1-2 members, another one for all members, and eventually a 3rd one that will allow guests of allied nations to be there (not supported yet). The new diplomacy menu provides a basic ingame chat as well as a convenient listing of all characters a player has relations with. The new chat menu also serves as the long-needed “diplomacy” menu, listing all the other characters a player has relations with, allowing to see active treaties and sending new missives without needing to click on their region. Each character profile now also lists not only active treaties, but pending offers or renegotiations, allowing the sender to cancel them if need be, and also providing feedback to confirm that a new treaty offer has been properly received by the server and isnt lost. pending treaty offers now appear in the treaty list, and can be cancelled by the sender. Some shaders have been slightly optimized, which should increase performances of the game. This update also contains big updates and fixes related to the UI. A major change is the transition to a new font system loading external font files. This was critical to allow for future localization in all languages including Chinese or Russian as now each language can be set to load its own custom font with all the characters needed! Fonts display should also appear sharper and more comfortable to read than before. The text editor has been improved as well, fixing many of its bugs. Another UI update concerns ‘ui containers’ : a UI box that can contain UI elements larger than its own size, and display only some of it with scroll bars. This element was re-written from scratch, as the previous one was pretty broken, especially for things like Battle Reports. These should finally display properly, even for the larger ones. This update also fixes many issues related to 4k display. 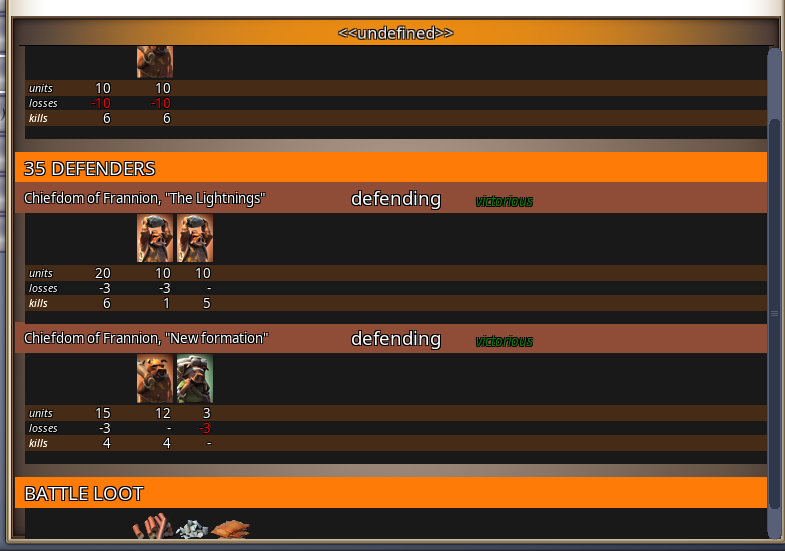 Large battle reports can finally be displayed properly with the new UI container element. – added moderation tools as an option for game hosts. enabling them will ohwever make the server listed as custom and no longer in official game modes. – added player ban to moderation tools. – desertion speed is now proportionnal to the army size, and not just to illegitimacy. – desertion is very slow when illegitimacy is very low (legitimacy >= -5). – band society now provides 5 of legitimacy by default. – lowered honor penalty from resistance by 50% when partisans win the battle, but it remains capped at a max of 50 (it will now take 100 of resistance to reach max penalty of 50 honor ). – fixed many issues with high resolution displays (4k). – optimized main rendering shaders, improving overall performances of the game. – camera zoom is no longer tied to resolution, making it consistent regardless of resolution. Zooming in above 1:1 pixel ratio is now allowed. – replaced font rendering with a new system using external font files customizable for each language, allowing localization in all languages. Fonts rendering also improved and sharper ingame. – improved UI engine: replaced ui containers with a new one allowing to scroll smoothly through its content instead of turning contained elements on/off –> should improve display of large battle repports. 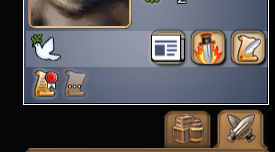 – changed UI of scroll bars. – pending treaty offers are now visible and can be cancelled by the sender. – added a basic ingame chat with a room for each nation and a channel with every character the player has relations with. 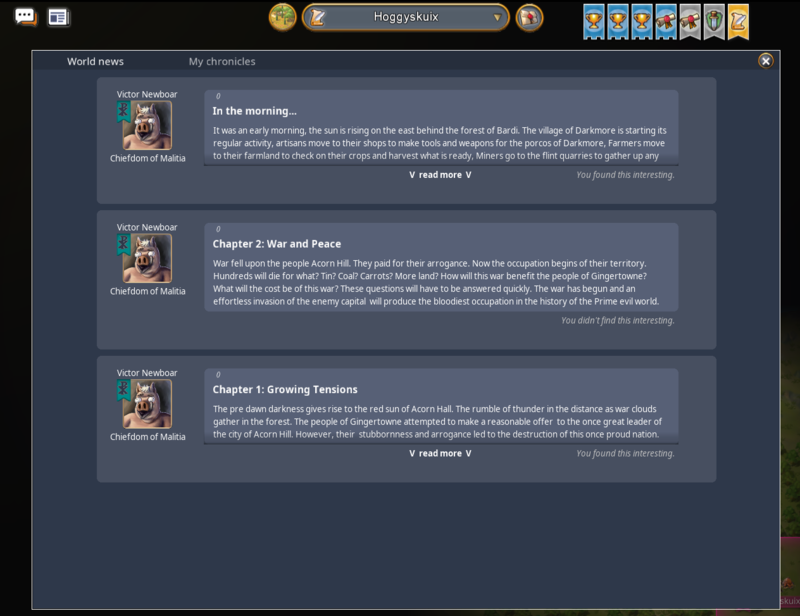 – added a basic chronicle system, where players can publish chronicles that will spread organicaly depending on their cultural reach and relations. 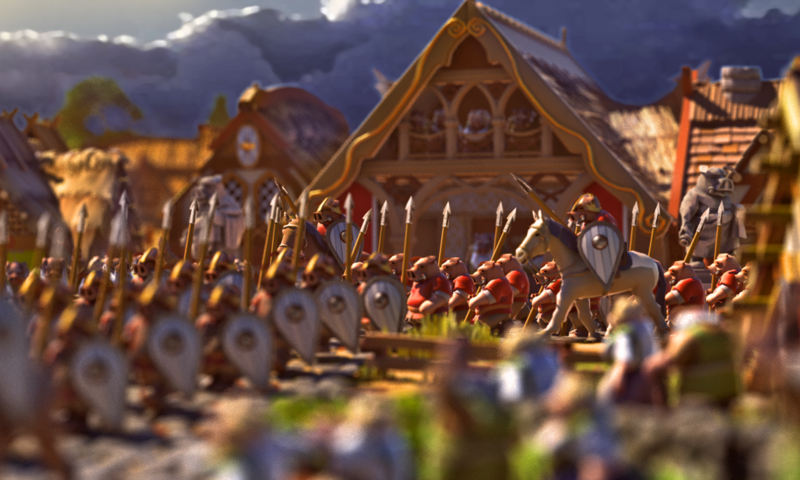 – when a chronicle is liked by a player, it gets relayed to others depending of the player’s own cultural reach. – added new option to disable animated vegetations.